Anatural birth is, if possible, preferable to a C-section. Studies show that children who come to the world through a C-section can get breathing difficulties and run a higher risk than other children to develop asthma and allergies such as eczema and hay fever. In a Dutch study on 2,917 eight-year old’s, asthma was found to be much more common among the children born through a C-section as opposed to natural vaginal birth. –We conclude that Caesarean section is a risk factor to the child to develop asthma and the risks are even greater if the parents are allergic. Another study shows that C-section led to increased risk of food allergies. It has long been known that the lungs of a mammal are the last organ to develop in the uterus before it is time for the fetus to get out. Towards the end of the pregnancy, the lungs begin to secrete a protein, SP-A, which tells they are fully developed. This substance launches a cascade of reactions that affects the mother and the contractions begin. The initiation of the contractions are carefully planned not to start until the fetus is sufficiently developed to survive outside the uterus on its own. In a planned C-section it is not certain that the lungs are fully developed, as it is difficult to predict exactly when the actual birth would have taken place. More information about SP-A can be found in this study. Our entrance to this life from the uterus is dramatic and one of the biggest challenges of our lives. From the protected environment in the womb the baby meets a whole new world full of sounds, light and cold air and should at the same time shift from inactive lungs and automatic nutrition and oxygen through the umbilical cord, to all of a sudden breathe and eat on its own. Stress hormones of a newborn baby are sky-high, which is a big advantage when the first breath is taken. 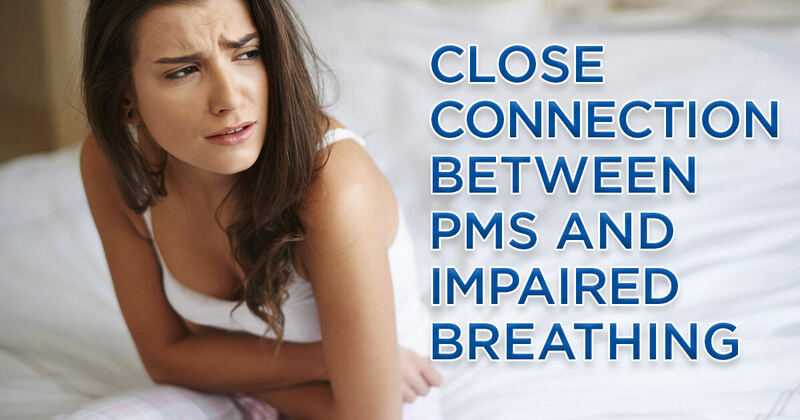 The struggle to come out through the narrow birth canal contributes to both the high stress hormone levels and also to the lungs squeezing together so that the fluids come out. During C-sections the stress hormones are not as high as the chest is not compressed nor are the lung fluids emptied. 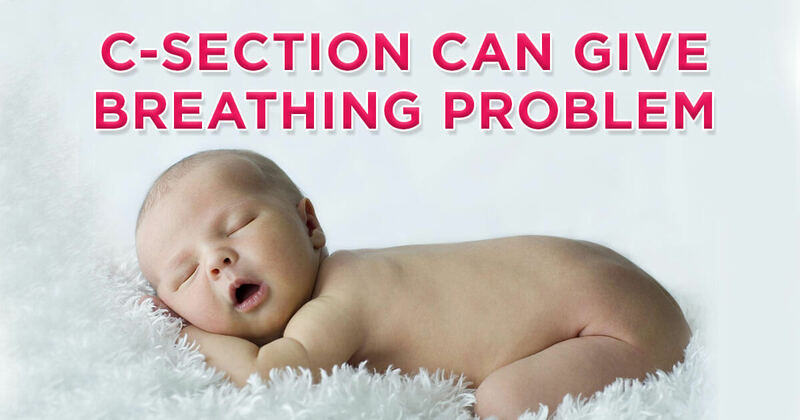 Therefore, babies born through C-section or born too early need to be extra monitored on how they breathe, both awake and while sleeping. Mouth breathing, breathing apneas and irregular breathing is particularly common in babies born too early. In Sweden about 16 – 18% of babies are born through C-section and just under half of them are planned. In USA more than 30 of the deliveries are done via C-section. Common causes for a planned C-section could be for example fear of labor or preeclampsia. Symptoms of preeclampsia are high blood pressure, difficult headache, eyes flickering, cramps, pain in the upper part of the stomach (under the rib cage where the diaphragm is) and breathlessness from water in the lungs. All of the symptoms of preeclampsia have a close connection to impaired breathing habits. During anxiety and fears the breathing is often shallow and fast or we hold our breath. When we move the breathing up into the chest and hold our breath it’s like we, with the help of our breathing, run away from our fears, that often are situated in the stomach area. If we continue these impaired breathing habits we give the fears room to grow and become even bigger over time. The other half of C-sections are of an emergency nature. Giving birth is an enormous effort that requires a lot of oxygen and place a great demand on effective breathing. If the breathing is impaired it will lead to oxygen deficiency and thus higher lactate concentrations. At Södersjukhuset in Sweden, chief physician dr. Eva Itzel-Wiberg, measured the lactate concentrations in the amniotic fluids and found a clear connection between high lactate concentrations and prolonged labor and/or C-sections. The lactate concentrations increases when the uterus suffers from oxygen deficiency during labour, which reduces the uterus ability to contract and can result in a prolonged delivery. Every fifth labor in Sweden is today prolonged due to ineffective contractions. In USA the. When the labor is prolonged both the mother and baby are exhausted and the risk of infections and other complications increases for the mother and the risk of oxygen deficit increases for the baby. Göra fysiska övningar som säkerställer att luftvägarna hålls öppna och välfungerande. Genom att ta andningen till hjälp under förlossningen kan den födande kvinnan a) uppleva den trygghet som gör att hon i högre grad kan hålla stress och rädslor under kontroll, b) syresätta musklerna som är aktiva under värkarbetet på ett optimalt sätt, c) återhämta sig snabbare mellan värkarna och d) minska den upplevda smärtan som förstärks när man spänner sig/andas ytligt/håller andan. Lär dig mer om dina nuvarande andningsvanor genom att svara på de 20 frågorna i Andningsindex frågeformulär. By letting the breathing help during labor the woman can a) feel more safe so that she more effectively can keep stress and fears under control, b) oxygenate the muscles that are active during the contractions in the most optimal way, c) recover faster between the contractions and d) reduce the perceived pain that is enhanced when you tense up/breathe shallow/hold your breath. Learn more about your current breathing habits by answering the 20 questions in the Breathing and Healthindex. Title Asthma at 8 years of age in children born by caesarean section. Link to full text. Caesarean section might be a risk factor for asthma because of delayed microbial colonisation, but the association remains controversial. A study was undertaken to investigate prospectively whether children born by caesarean section are more at risk of having asthma in childhood and sensitisation at the age of 8 years, taking into account the allergic status of the parents. 2917 children who participated in a birth cohort study were followed for 8 years. The definition of asthma included wheeze, dyspnoea and prescription of inhaled steroids. In a subgroup (n = 1454), serum IgE antibodies for inhalant and food allergens were measured at 8 years. In the total study population, 12.4% (n = 362) of the children had asthma at the age of 8 years. Caesarean section, with a total prevalence of 8.5%, was associated with an increased risk of asthma (OR 1.79; 95% CI 1.27 to 2.51). This association was stronger among predisposed children (with two allergic parents: OR 2.91; 95% CI 1.20 to 7.05; with only one: OR 1.86; 95% CI 1.12 to 3.09) than in children with non-allergic parents (OR 1.36; 95% CI 0.77 to 2.42). The association between caesarean section and sensitisation at the age of 8 years was significant only in children of non-allergic parents (OR 2.14; 95% CI 1.16 to 3.98). Children born by caesarean section have a higher risk of asthma than those born by vaginal delivery, particularly children of allergic parents. Caesarean section increases the risk for sensitisation to common allergens in children with non-allergic parents only. Title Surfactant protein secreted by the maturing mouse fetal lung acts as a hormone that signals the initiation of parturition Link to full text. Journal Proc Natl Acad Sci U S A. 2004 Apr 6;101(14):4978-83. Epub 2004 Mar 25. Abstract Parturition is timed to begin only after the developing embryo is sufficiently mature to survive outside the womb. It has been postulated that the signal for the initiation of parturition arises from the fetus although the nature and source of this signal remain obscure. Herein, we provide evidence that this signal originates from the maturing fetal lung. In the mouse, secretion of the major lung surfactant protein, surfactant protein A (SP-A), was first detected in amniotic fluid (AF) at 17 days postcoitum, rising progressively to term (19 days postcoitum). Expression of IL-1beta in AF macrophages and activation of NF-kappaB in the maternal uterus increased with the gestational increase in SP-A. SP-A stimulated IL-1beta and NF-kappaB expression in cultured AF macrophages. Studies using Rosa 26 Lac-Z (B6;129S-Gt(rosa)26Sor) (Lac-Z) mice revealed that fetal AF macrophages migrate to the uterus with the gestational increase in AF SP-A. Intraamniotic (i.a.) injection of SP-A caused preterm delivery of fetuses within 6-24 h. By contrast, injection of an SP-A antibody or NF-kappaB inhibitor into AF delayed labor by >24 h. We propose that augmented production of SP-A by the fetal lung near term causes activation and migration of fetal AF macrophages to the maternal uterus, where increased production of IL-1beta activates NF-kappaB, leading to labor. We have revealed a response pathway that ties augmented surfactant production by the maturing fetal lung to the initiation of labor. We suggest that SP-A secreted by the fetal lung serves as a hormone of parturition. Title Association between adverse neonatal outcome and lactate concentration in amniotic fluid. Author Wiberg-Itzel E et. al, Department of Clinical Science and Education, Section of Obstetrics and Gynecology, Karolinska Institute, Soder Hospital, Stockholm, Sweden. To estimate whether a high lactate concentration in amniotic fluid, together with cardiotocography, can be used as an indicator for an increased risk of adverse neonatal outcome at delivery. A prospective cohort study was performed at two tertiary center labor wards in Sweden. Healthy women with full-term, singleton pregnancies and cephalic presentation in spontaneous active labor were included in the study (N=825). Lactate concentration in samples of amniotic fluid collected in the course of vaginal examinations during labor were correlated with cardiotocography 30 minutes before delivery and a composite score for adverse neonatal outcome. High lactate concentration in amniotic fluid (greater than 10.1 mmol/L) was associated with an adverse neonatal outcome (odds ratio [OR] 4.4, 95% confidence interval [CI] 2.3-8.2). Fetal bradycardia within 30 minutes before delivery was also associated with an increased risk of adverse neonatal outcome (OR 7.4, 95% CI 3.04-18.11). If lactate in amniotic fluid was greater than 10.1 mmol/L and bradycardia was seen together, the risk of delivering a neonate with an adverse neonatal outcome was increased 11-fold (OR 10.7, 95% CI 3.7-31.7). High lactate concentration in amniotic fluid and fetal bradycardia during the last 30 minutes before delivery indicate an increased risk of adverse neonatal outcome at delivery.